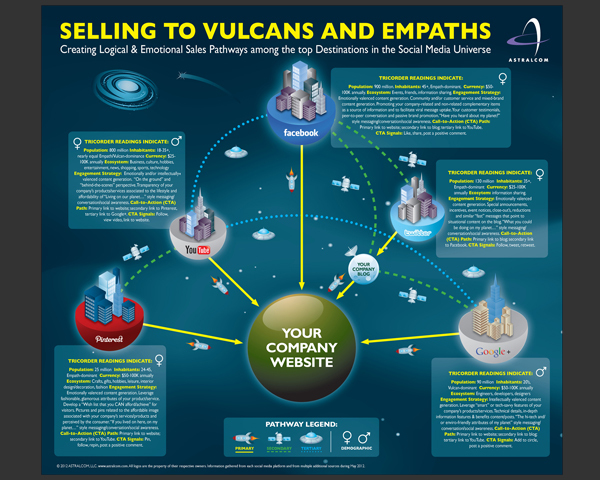 Selling to Vulcans and Empaths – Social Media Management | ASTRALCOM - Content Strategy, Conversion Marketing and Customer Acquisition. Selling to Vulcans and Empaths – Social Media Management | ASTRALCOM – Content Strategy, Conversion Marketing and Customer Acquisition. An infographic on how we create connections between fans, followers, customers and businesses in the social media universe. View The Infographic Now! Contact us today to discuss connecting with more fans, followers and customers.